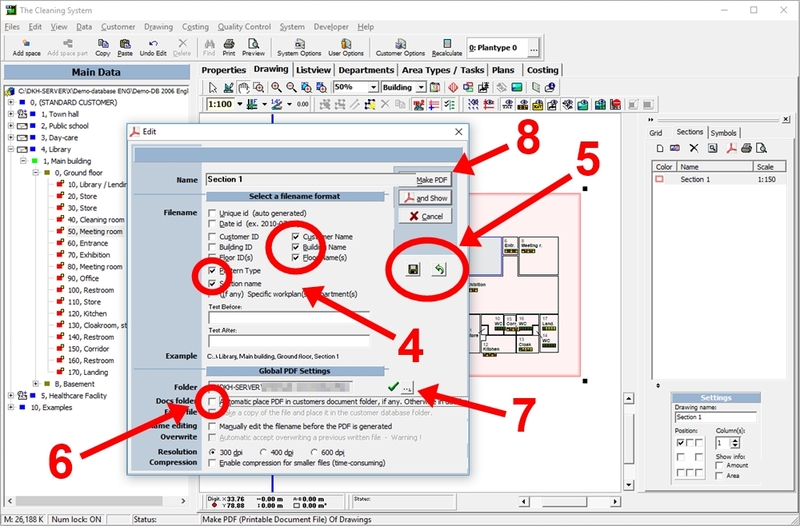 Click the “Define and select print sections” button, choose the print section you want to print as a PDF. 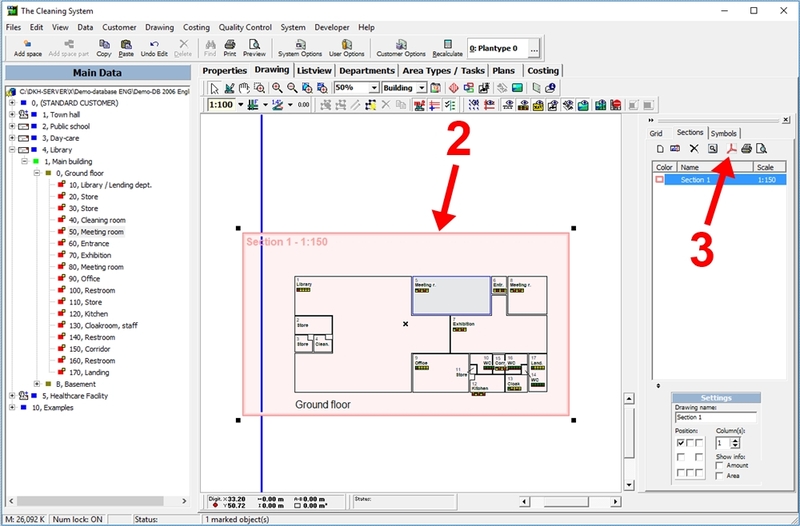 Click “Make PDF (Printable Document File) Of Drawings” and choose file format and destination. A window now opens on the right side of the screen, with a list of existing print sections. If you want to know how to create a print section, click here. 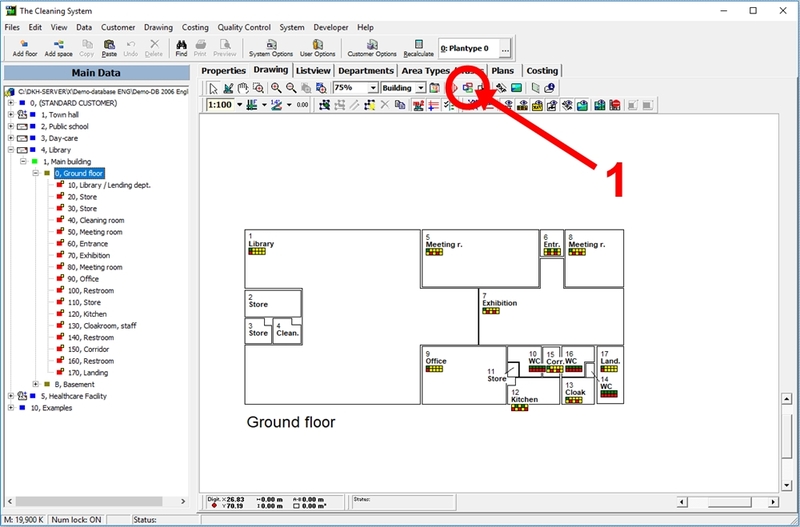 In the window “Edit”, you can select what to include on the PDF. Choose a “Name” for the print section in the first field. When you have chosen the filename format, you can click the “Save” button. Then, next time you want to make a PDF of a print section, you do not have to choose a filename format. You can just click on the button with the green arrow (5) and your saved filename format will be added. You have now printed your drawing as a PDF file. You can find it in the folder you chose as the save destination under “Global PDF Settings”.